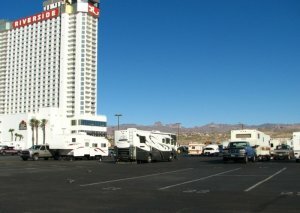 While staying at another casino in Laughlin, we drove by to check on the overnight RV Parking. Large area and busy. Allowed to stay for 14 days with no fee.